Merry Christmas Everyone, and may 2015 bring you clear skies ! 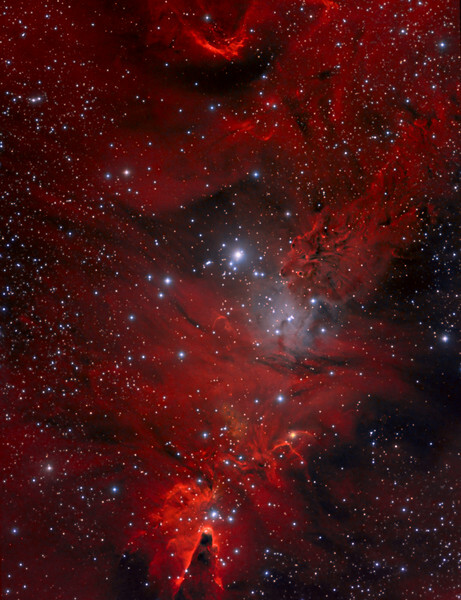 NGC 2264 (Christmas Tree cluster) (Cone Nebula Region) with 2.5 hours of Lum added in Feb 2014. Total now 12 hours of LRGB and Ha.